March 4, 1861: On the day of Abraham Lincoln’s inauguration, the air is charged with hope and apprehension. The last thing anyone wants is any sort of hitch in the proceedings—let alone murder! Fortunately the president has young Adam Quinn by his side . 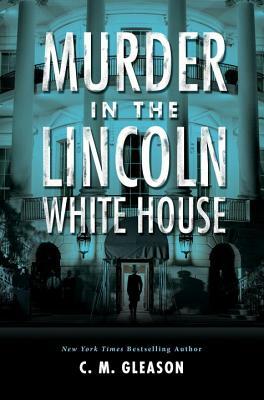 . .
Quinn—with assistance from Sophie and Dr. Hilton—must make haste to solve the murder if he is to protect the president he’s pledged to serve. With the shadow of war looming on the horizon, there’s no margin for error, as no less than the fate of the nation is at stake . . .
C.M. Gleason is the New York Times and USA Today bestselling author of the Stoker & Holmes series for teens, in addition to the Lincoln White House mysteries. She lives in the Midwest and is hard at work on her next novel. Learn more at: cmgleason.com.